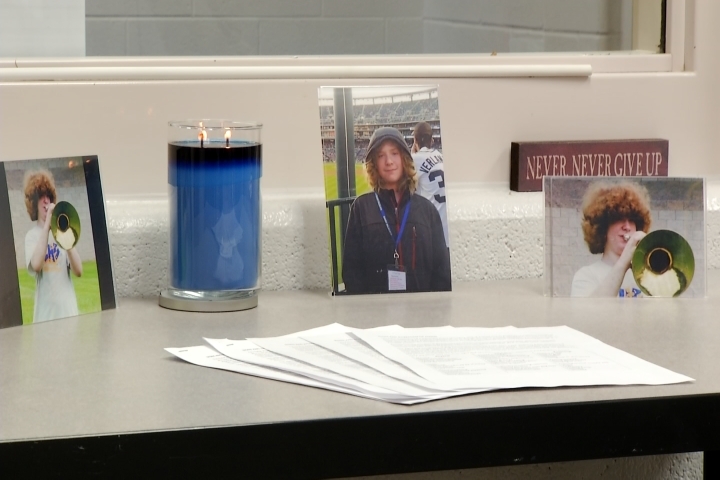 The staff and students at Evart High School are mourning the loss of one of their own. Fifteen year old, Dylan Shaw and two other teens, fell through the ice on the Muskegon River, Thursday. While the others managed to get to shore, Shaw did not. Several agencies spent days working to find his body, but on Saturday, they suspended their search because the river and weather conditions are just too dangerous. “He was just an out-going person, I mean he was a great friend,” said Jonathan Ward, a friend of Shaw’s. Staff and students at Evart are reflecting on the mark Shaw left on their lives. Ward remembers how Shaw made him feel welcome at a new school. “He was one of the kids that walked up to me and said hey I’ll show you around and it’s pretty cool to have someone from a new school and then not knowing anyone and then he comes up, it sticks with you,” said Ward. Shaw was known for his kind heart and big hair. “He was funny. His hair was out to here, curly fro,” said Ward. Now, the school is helping students cope with the fact they won’t see that hair or that smile walk down these halls anymore. “This is the first time for many of them, for some of them at least, that they have lost a peer and that’s a difficult thing to swallow,” said Jessica Kolenda, principal of Evart High School. The school brought in comfort dogs through HOPE Animal- Assisted Crisis Response to try and put students at ease. “We have really tried hard to make sure that we have all of the resources necessary for our kids and staff to be able to cope with this loss,” said Kolenda. For some, coping means finding ways to keep Shaw’s memory alive. “We have decorated his locker to ensure that kids have a chance share sentiments with him,” said Kolenda. Another way students are showing their support for the family is by writing messages on pieces of paper and attaching a paper chain, which they will eventually give to the family. “We have decided that we have a candle lit in office and during school hours it will be lit until his body is recovered,” said Kolenda. They say they’re taking it day by day.